Sorry I haven't post any crochet-related post for a while.... 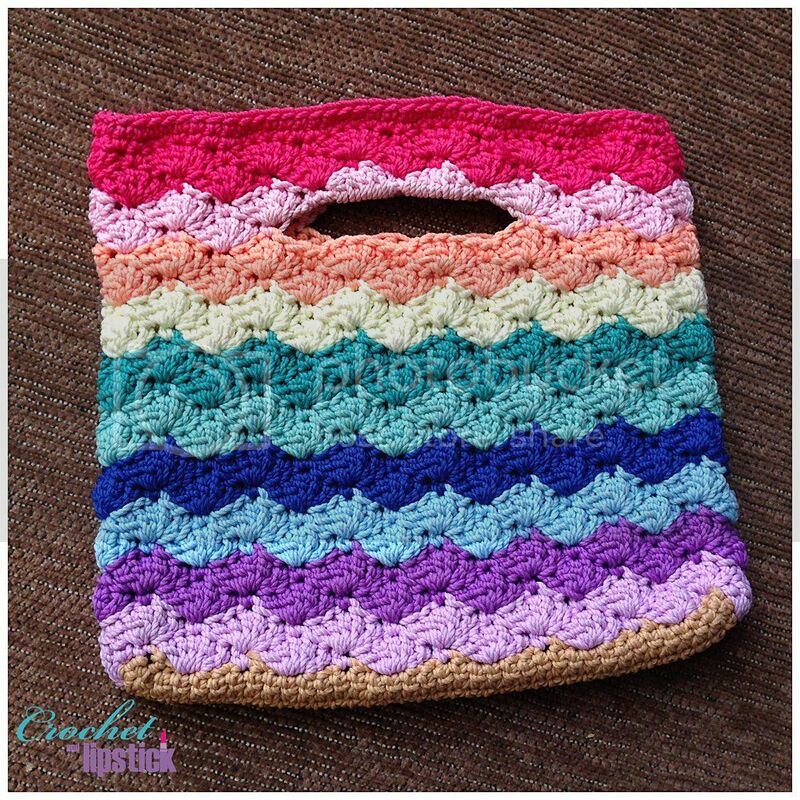 I do make several crochet projects but most of them are a gift for someone and I forgot to take pictures of it too... #sigh... Anyway here's my latest crochet project that I remember to take pictures on. Isn't it cute!! The reason I made this clutch is because I use backpack a lot lately when I go out because I carry a lot of stuff and I put my phones inside. So when I need to use my phone or when there's a call or text it's quite bothersome to look for the phone inside the bag and of course I can't hear the phone when it's ringing. I don't like to put my phone on my pocket and if I carry the phone on my hand it's also quite tricky (especially when I window shop or discount hunting #LOL) so I decided to make one. This is what the clutch looks like from below. I made the base wide so I can put in another phone or power bank in it. I made another one with a more vibrant color on the rainbow. The opening on the clutch is perfect for my hands grip. 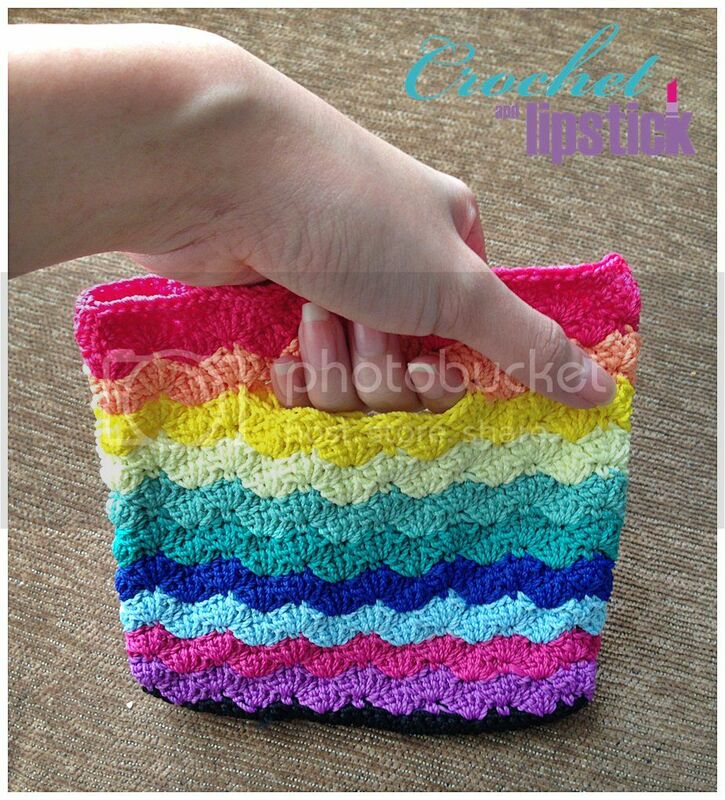 The patterns on this clutch is from Crochet Spot Blog and the clutch is called Kiss Me Bag. 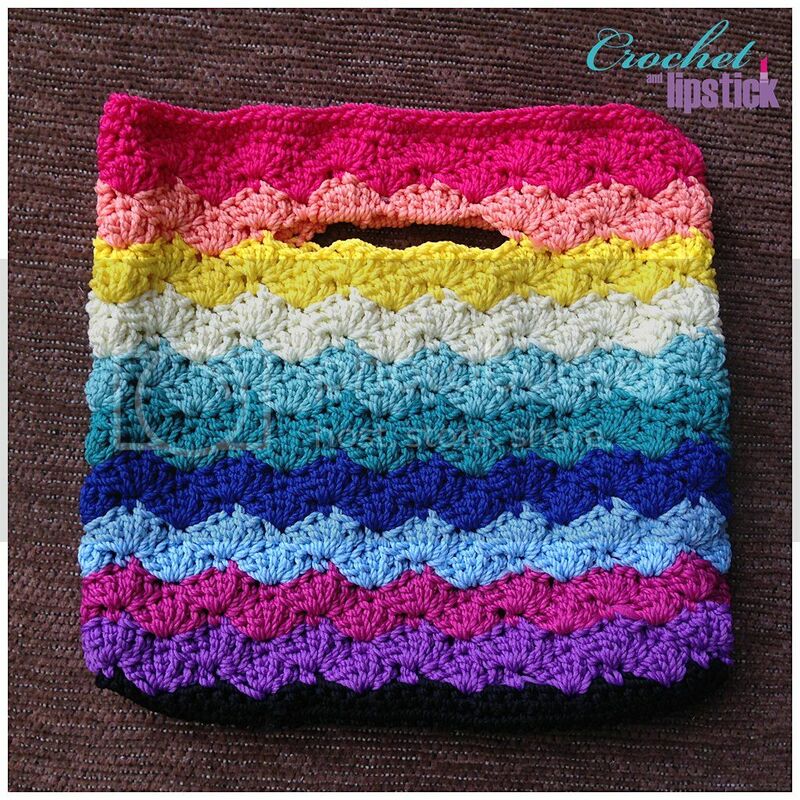 The original pattern use a medium weight yarn and 5mm crochet hook but I've modified it a bit because I use different materials and crochet hook size. I make 56 chain and work 5 rows of 55 sc. 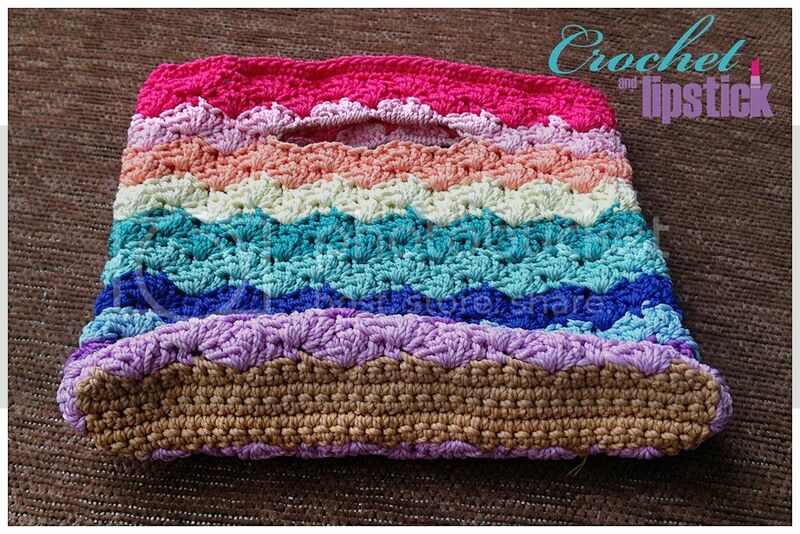 The steps is exactly like Crochet Spot but I change my yarn color on Round 3 and then change color again every two rounds. So overall I make changes in round 3, 5, 7 , 9, 11, 13, 15, 17, and 19. Since I use different size yarn I made a total of 20 shell rounds. The handles are made on round 17 and here's the modification on round 17. Round 17: Ch 1, sc in first stitch (beginning ch-3 of previous round). (Sk 2 dc, 5 dc in next sc [shell made], sk 2 sc, sc in next dc) 2 times. Ch 17, sk 17 stitches, sc in the next dc. (Sk 2 dc, shell in the next sc. Sk 2 dc, sc in the next dc) 4 times. Ch 17, sk 17 stitches, sc in the next dc. (Sk 2 dc, shell in the next sc. Sk 2 dc, sc in the next dc) 2 times replacing the last sc with a sl st to the first sc of the round. Round 21: Ch 1, sc in each stitch around. Round 22: Repeat Round 21. FO and weave in ends.